Have you ever wondered what goes on behind the scenes in a digital store? How to use Zen Cart, what it is like to work with the other designers on a team while making the monthly mega kits, etc. If so, you might want to check out the following ad. You can get a feel for what it is like without making a long term commitment. 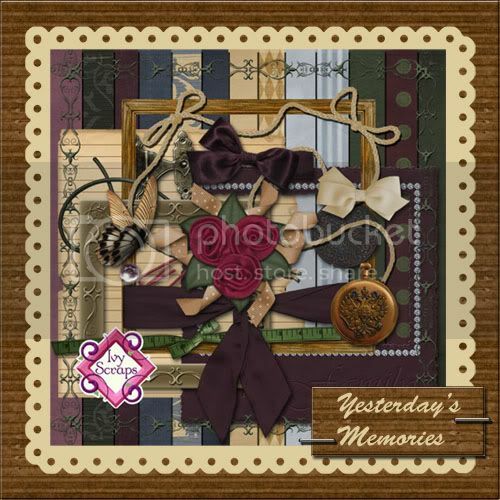 Join us for a Heritage Chat in the Ivy Scraps Chat Room Tuesday (tomorrow) at 9:00 p.m. Eastern Time and get Yesterday's Memories just for coming!! 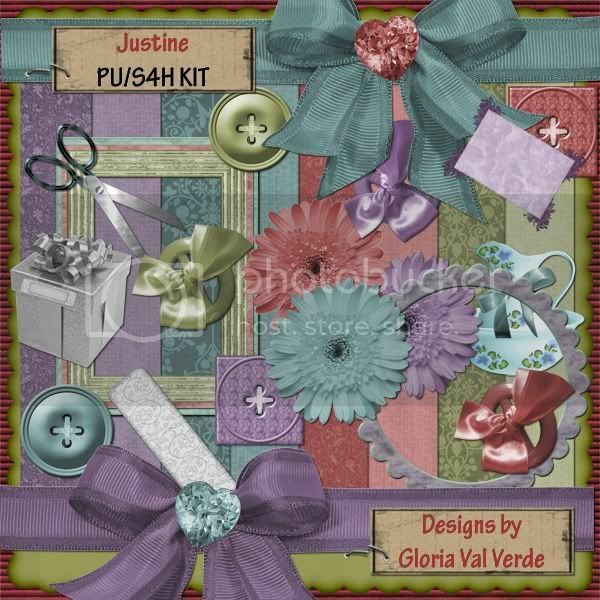 You do not need to register to use the chat room and download links for this kit will be given during chat. Use it to make a layout before the end of November and get a coupon good in the Ivy Scraps Store for Goria's Justine Kit for FREE. You have nothing to lose and everything to gain, so come and join us for a chat. Bring your questions about starting your family research and we will be happy to help you get started. Already working on your tree? Just come and visit, we would love to have you. 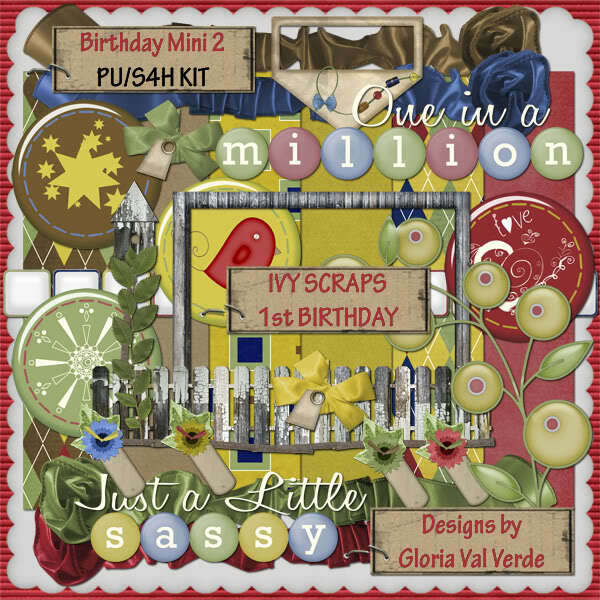 (If you missed these kits as freebies for the chat/challenges, you can now find them in the store at www.ivyscraps.com. The Ivy Scraps Heritage Challenge this month is to make a LO about a veteran family member. I chose to do Uncle Neal. 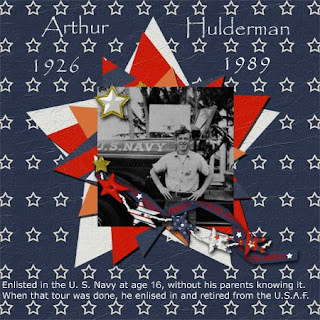 He enlisted at a very young age (16), spent his first enlistment in the U.S. Navy and the re-enlisted in the Air Force and retired from there. You can tell from this LO how young he was when he went off to war! I have taken the time to do some scrapping this month. Since I started designing, I never seem to have time to scrap, so I've really enjoyed this. My friend Des, at Ivy Scraps has a color challenge every month and this month's colors are so awesome!! So was her mini kit, Cinnamon Sticks. 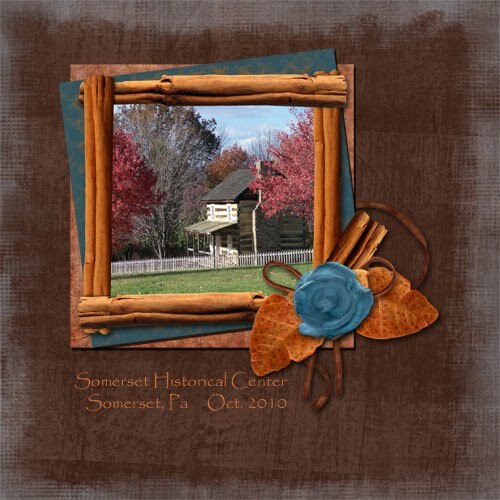 I used it for this LO of one of the cabins at Somerset Historical Center. 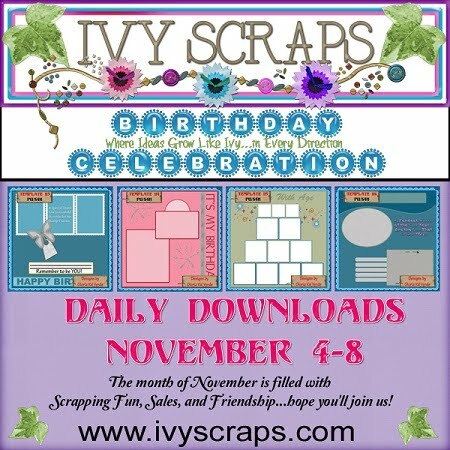 I've been so busy trying to keep organized for the birthday celebration at Ivy Scraps, that the blog has taken a backseat again!! When you see all of the wonderful things going on there and the FREEBIES, maybe you will forgive me. First, you have got to see the November Mega Kit called Thankful! 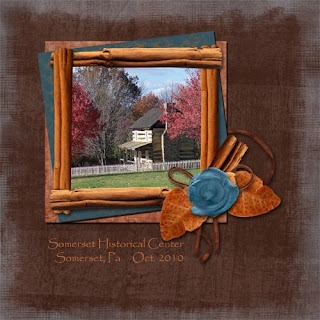 It is absolutely gorgeous and perfect for not only the fall events you need to scrap, but for many other things. You can pick it up at the store for only $3.00 this month. 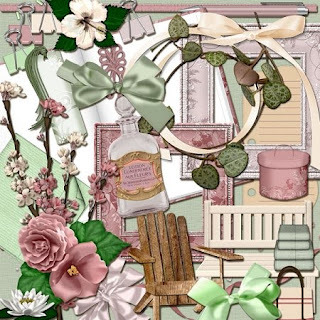 Next you can post in this thread for a RAK of KittenScraps beautiful kit - SPA DAY. 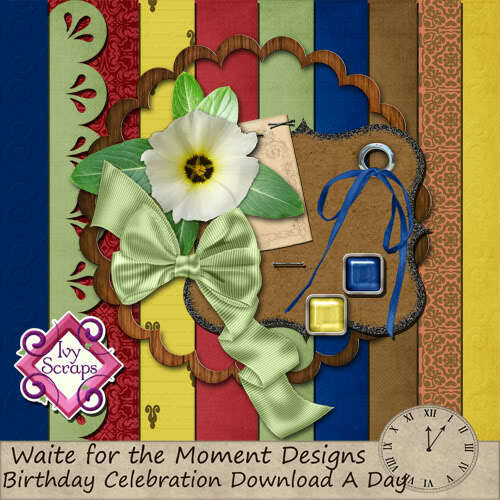 And last but certainly not least, there is a daily download that will amount to a huge kit when it is finished at the end of the month. You can find the DOWNLOAD LINKS HERE and below are just a couple of the previews to give you an idea of the kit contents. While you are checking out the daily download and signing up for the RAK, be sure to check out the Mega Kit freebies and the special events and challenges going on.